This is the seventh Christmas for Under the Hollywood Sign. As regular readers know, I began the blog to promote my documentary of the same name. That film, as well as my others, is now on sale at half price (that’s $12.50 for features; $6 for the short) on my website http://www.hopeandersonproductions.com The sale continues through the end of the month; please check it out. The lights went out in Hollywoodland around 1:15am on Thursday morning, hardly a surprise given the 100 mph winds that roared through the Canyon all evening. Power outages occur a couple of times a year here, usually because of windstorms, and generally last a few hours. But this one was different: there was no electricity when we got up in the morning, and none during the day and evening that followed. It wasn’t just Beachwood that was affected: some 300,000 households in a wide geographic area–including Pasadena, Eagle Rock, Echo Park, Silver Lake and Los Feliz–lost power for an extended period of time. 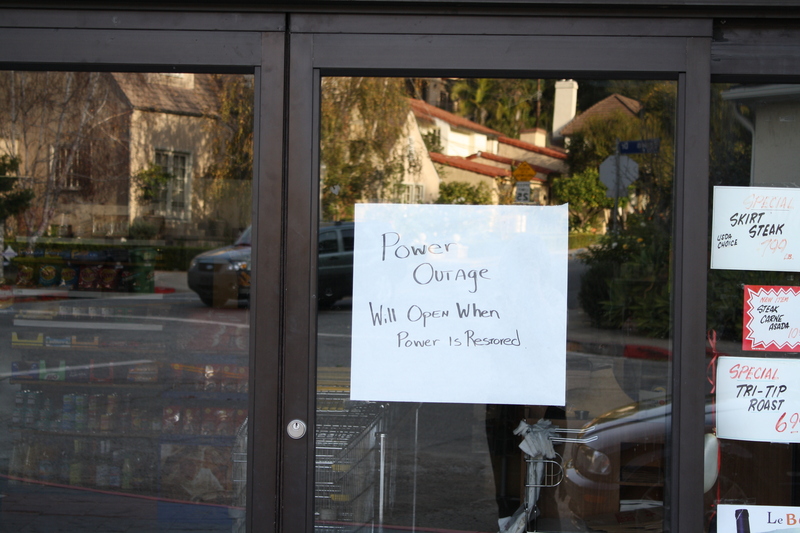 Some areas, such as Sierra Madre and Altadena, were without power for 48 hours or longer. Having worked late the night before, I didn’t feel pressed to seek out a Wifi connection outside the Canyon. Instead, I decided to see how long I could be productive without electricity–and found enough to keep me busy until 2pm. 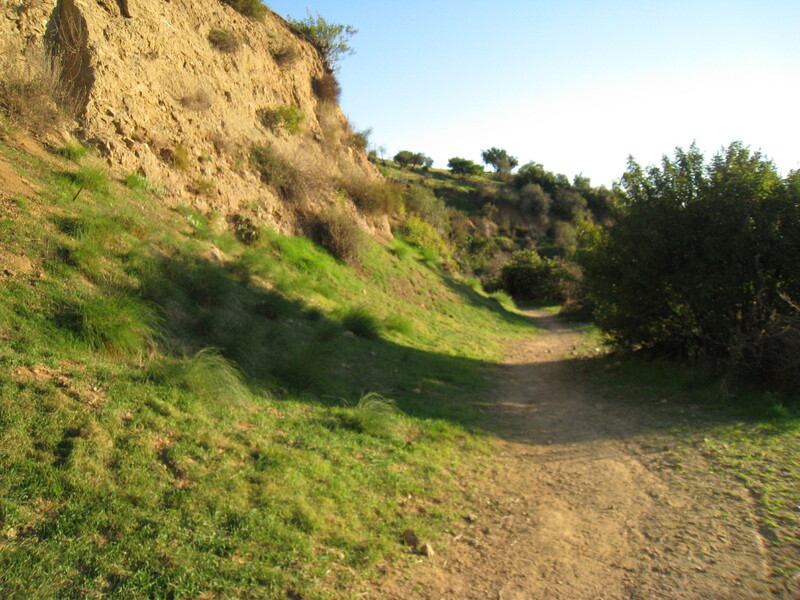 By that time, I needed to escape the oppressive silence that had descended on my office, and took my dog hiking. On the way up the Canyon, I expected to be impeded by downed trees and other damage from the storm, but there was nothing more dramatic than some branches by the road and an uprooted tree at Lake Hollywood Park. 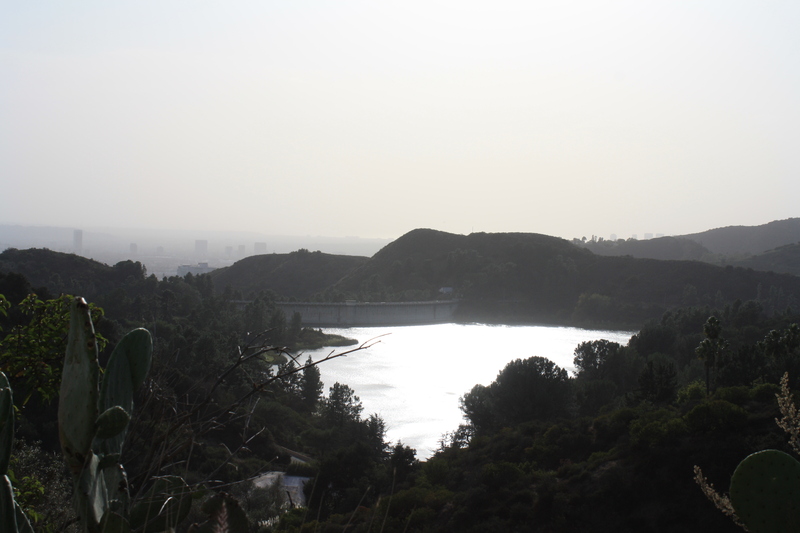 Nevertheless, for the first time I can remember, there were no tourists at the Lake Hollywood lookout and the picture-taking area for the Hollywood Sign. The Lake’s surface was like hammered silver in the afternoon sun. 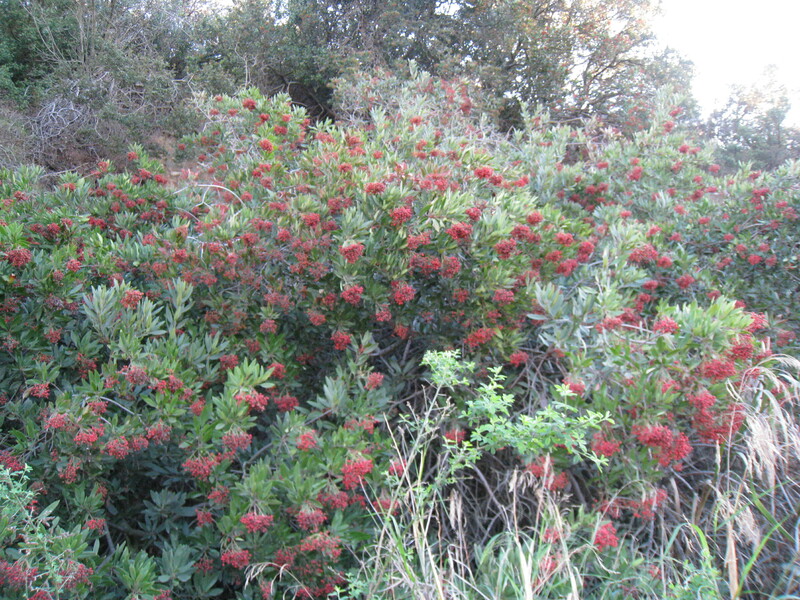 At the head of the trail, a big pepper tree had shed thousands of pink berries that crunched satisfyingly underfoot. Further along, a downed tree blocked the way. 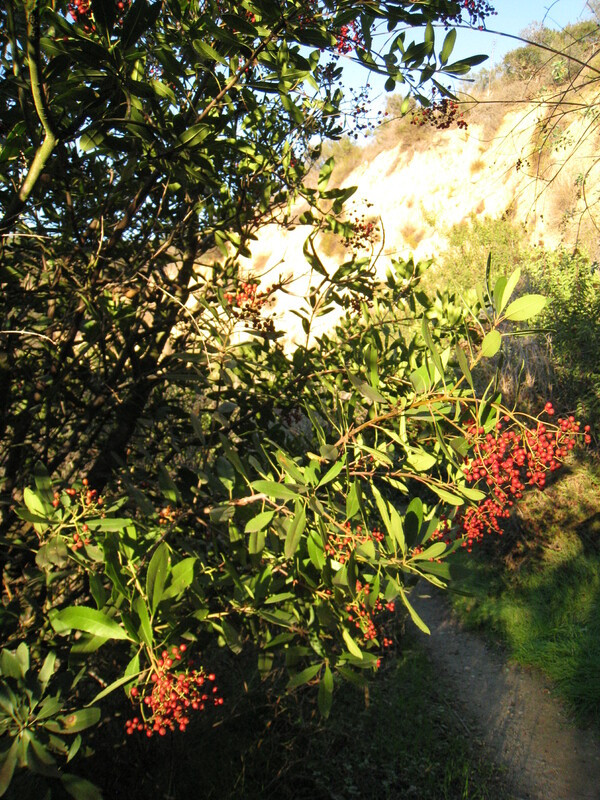 A toyon (California holly) was full of red berries, just in time for Christmas. Afterwards, I swung by Beachwood Village, where the Market was closed due the power outage. 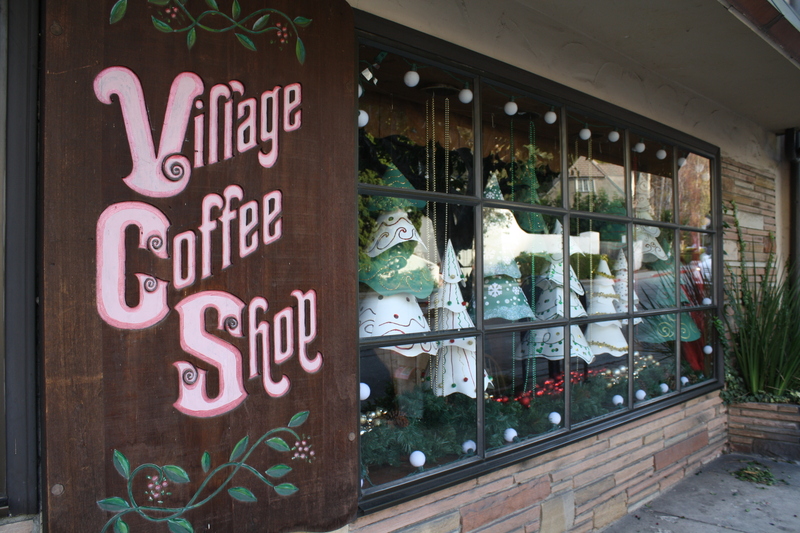 Around the corner, the Village Coffee Shop, which had closed its doors the previous day (the space will be reincarnated as the Beachwood Cafe in March), displayed Christmas decorations in its window. Shortly afterwards, outside my house, I ran into a neighbor who passed on the news that we might be without power for another 2-3 days. I called DWP and listened to a recorded message that stated that power would be restored by 3:30pm, but by then it was after 4, and I found no reason to be optimistic about the coming night. I arranged my flashlights and candles before going to the gym to work out and shower, and arrived home in pitch darkness. Without electricity, night in the Canyon was hushed and premodern. 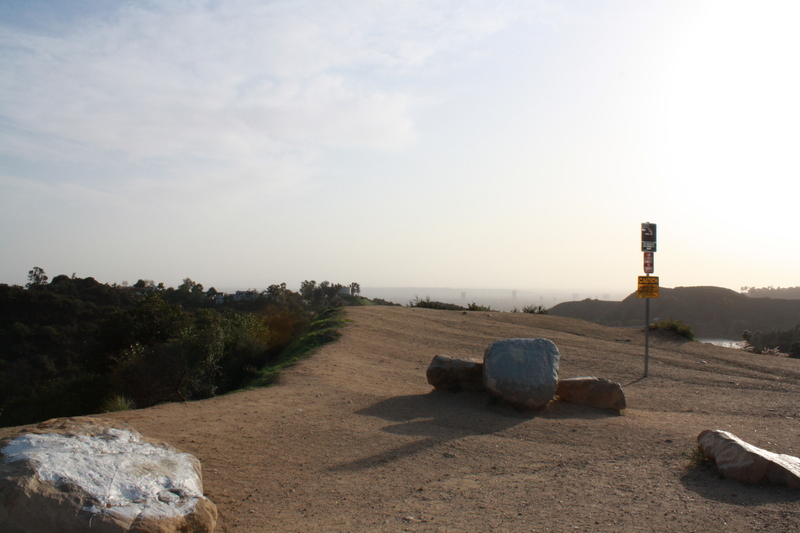 The only illumination came from the radio tower and ranger station above the Hollywood Sign. Undisturbed by lights, the coyote that normally hunts on my hillside in the small hours started chasing tree rats at 6:30. My routine was no less altered: normally, I stay up late, reading, writing and watching TV. Last night, I cooked by candlelight and washed the dishes (with water boiled on the stove) before 9pm. I tried to read. Then it was flashlights out at ten. The lights came on almost 24 hours to the minute after they had gone off. I woke up immediately and went downstairs to start the dishwasher. Later, I remembered to take the milk from the freezer and return it to the refrigerator. Sleep was impossible: suddenly everything hummed with electricity, and the previous day and night receded like an odd but compelling dream. 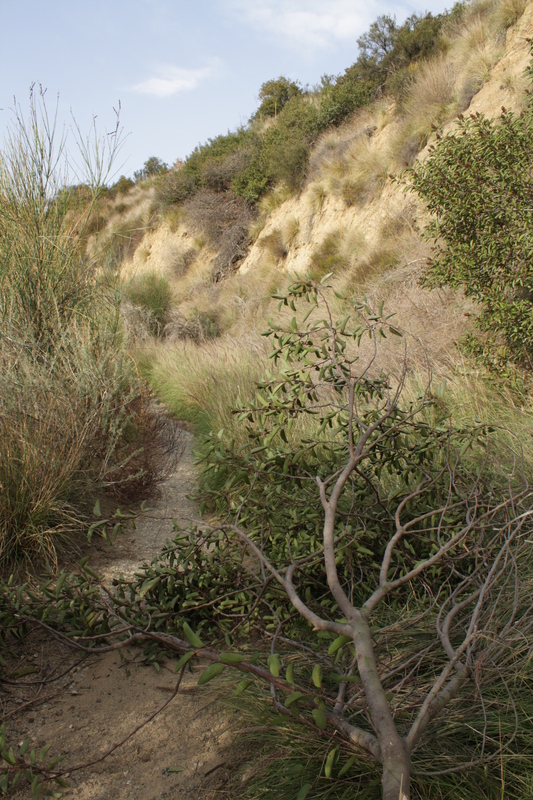 My search for native holly (toyon) has brought mixed results over the past five years. The year I moved to Beachwood was an exceedingly dry one, and the next fall saw very few berries. 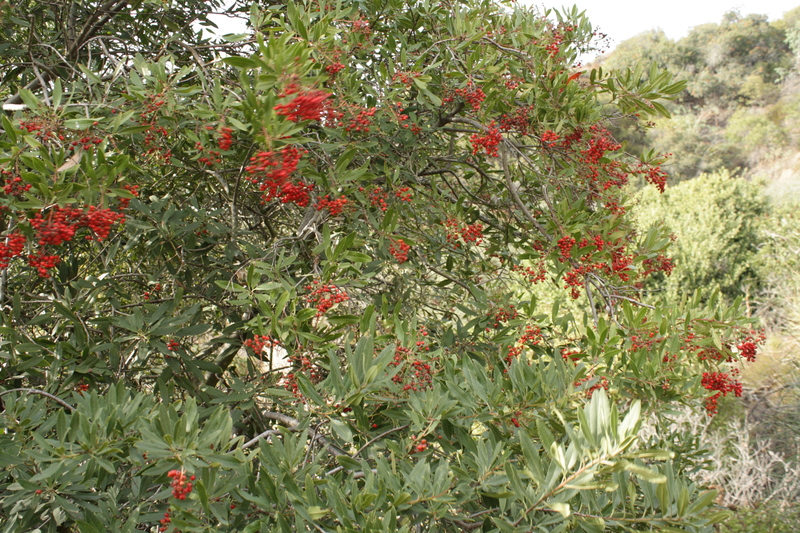 Without them, the toyon is unimpressive–just another tree along the trail. Then there’s the question of when the berries, if any, will turn red, an event of brief duration that is easily missed. Disappointingly, the berries seem to turn red well before Christmas–but again, it depends on rainfall. So while hiking the trail between Castillo del Lago and Wolf’s Lair yesterday, I was surprised to come upon a riot of red berries on the trees there. 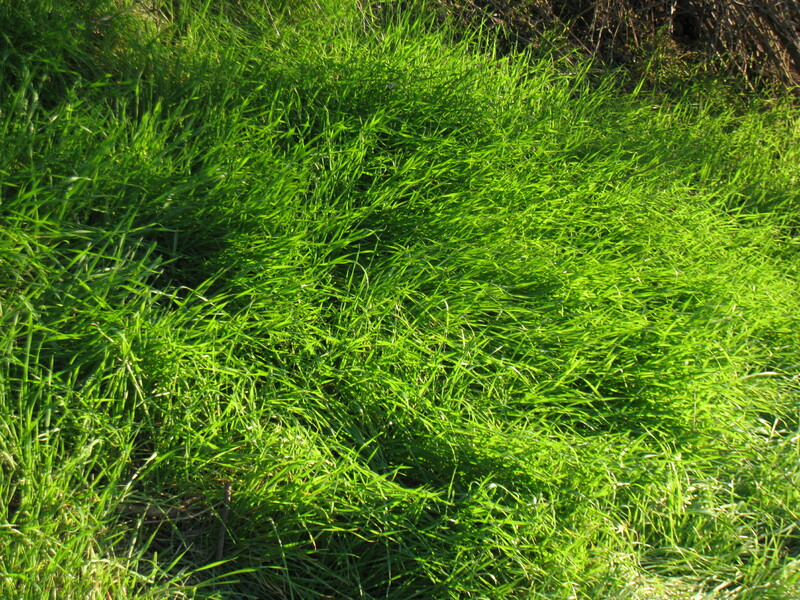 The fact that it we’ve had four rainstorms since the beginning of October must be the cause: the trail is as lush as it normally is in January. The tree pictured at top is enormous, a wall of green leaves and red berries. Merry Christmas from Hollywoodland!–six weeks early. 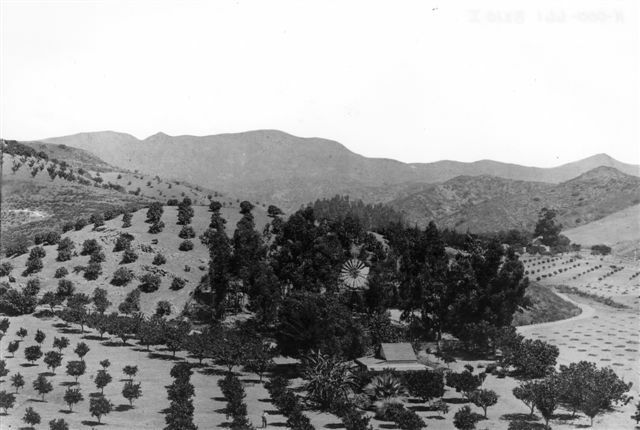 Hollywood first appears on maps not as a studio town or even a farming village but as ranchland, part of the San Fernando Mission located some twenty miles northeast. Of course, its true history goes back much further, to the Indian settlements of the pre-colonial era. A few Indians remained after the territory was settled by Californios in the late 18th century, probably working the ranchos granted by the Spanish Crown. By 1890, Hollywood not only had its present name but a distinct identity from that of Los Angeles, five miles to the east. It was founded by Daeida and Harvey Wilcox, a prosperous Kansas couple who had suffered the loss of their infant son. In the aftermath of their tragedy, the Wilcoxes took long Sunday carriage rides in the Cahuenga Valley. Their fondness for the area’s rolling farmland and fresh breezes led them to the discovery of a 160-acre tract that they were able to buy in 1887. Development soon followed, and by 1900 the area had a population of 500. Temperance was non-negotiable for Harvey Wilcox, a strict teetotaler whose religious beliefs set the civic tone. 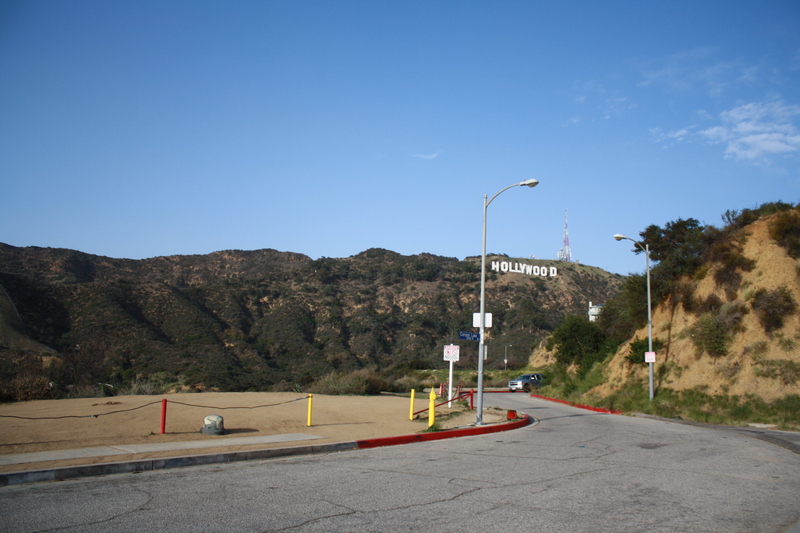 Enforced morality obviously inspired Hollywood’s incorporation: the city’s first by-laws in 1903 not only prohibited drinking and the possession of spirits but the prescription of alcohol for medical reasons and the transporting of alcohol across town lines. Not only could residents not drink publicly: they couldn’t drink in their homes or own alcohol for any reason. Moreover, west-bound liquor from Los Angeles had to travel a southerly route, beyond pious Hollywood’s borders. Close on the heels of alcohol-related legislation came laws against gambling, prostitution, noise, speeding, oil wells, tanneries and the driving of large herds on city streets. Although Hollywood’s civic independence lasted only seven years–the town became part of Los Angeles in 1910 because of its desperate need for water–its many laws are preserved in bound volumes in the Los Angeles City Archives, providing a fascinating glimpse into a mostly forgotten history. Not surprisingly, Hollywood was unable to remain a dry, Protestant town. Three years after Wilcox’s death in 1891, his widow Daeida married Philo Beveridge, a very dissimilar husband with whom she had four children. The freewheeling son of a former Illinois governor, Beveridge publicly flouted the liquor laws by serving wine to his guests at the Hollywood Hotel. Once Hollywood annexed itself to Los Angeles, of course, the matter was moot. Kevin Starr, Inventing the Dream: Southern California Through the Progressive Era. Oxford University Press, 1985. Gregory Paul Williams, The Story of Hollywood. BL Press, 2005. 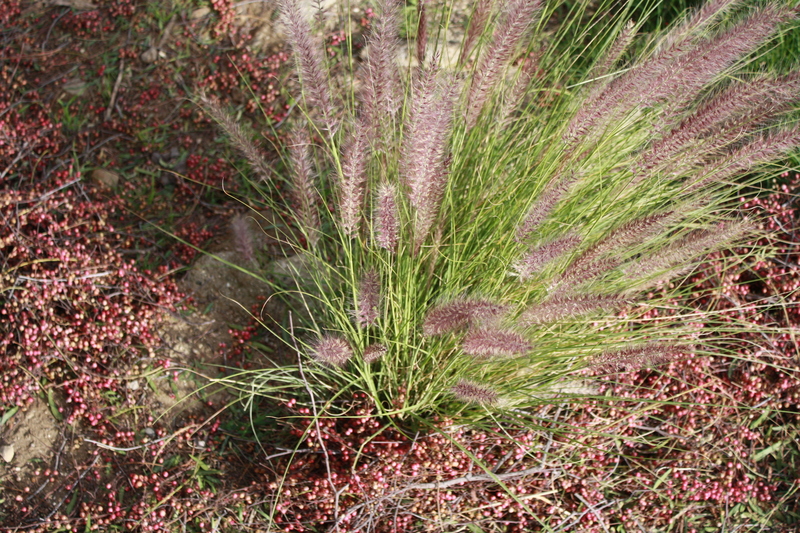 You are currently browsing entries tagged with toyon at Under the Hollywood Sign.